Twenty-one year old Kaden Bohn lined his toes up with the cliff’s edge and let out a long shaky breath. The view of the four thousand foot drop sent goose bumps up and down his lean figure. The hike had begun around midnight. After a long and strenuous six hours, Bohn and his friends summitted the mountain just as the sun was rising. “I just remember, as I was preparing myself for this jump, stepping back and taking in the beauty that was all around me,” Bohn said. Bohn felt a sense of gratitude as he stood and looked around him. The fact that two of his best friends were sharing that same reality with him made it that much better. Standing on the edge, geared up and ready to go, a million thoughts ran through Bohn’s mind. Within a matter of seconds, these were left behind. “Three … two … one … see ya!” he yelled. With what little room the winged suit allowed, Bohn jumped and let the wind take him. As he coasted down the face of the granite formation, the sound of his friends hollering after him quickly faded. Bohn leaned left and right, dodging and weaving through trees and jagged edges jutting out from the great cliff face. From a young age, Bohn had dreamed about flying. All through his youth, he pushed himself to be the best he could be. 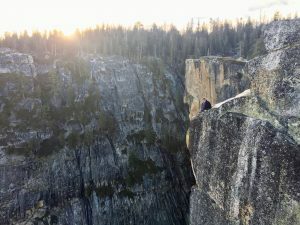 “In BASE jumping it is so important to make sure you are doing everything you can to minimize the risks, so you can continue to enjoy the sport, and that was a big draw to me,” Bohn said. Midway through high school, Bohn began tandem skydiving. Soon he desired to fly solo, so he pursued a skydiving training course. A few years down the road, he received his skydiving license from a jump zone in Lodi, California. 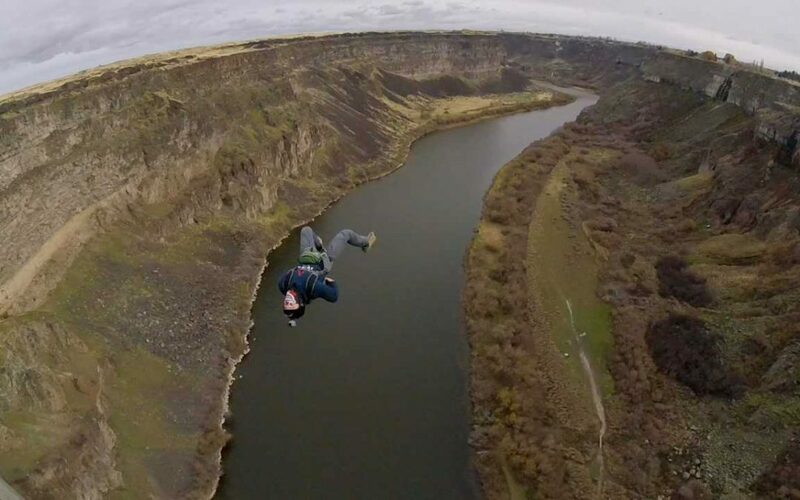 Several people, including his close friend Daniel, helped him through his progression of the sport and onto BASE jumping. BASE is an acronym for Building, Antenna, Span and Earth. To any adrenaline junky such as Bohn, this was the ultimate goal: the final level of “untouchable.” He said that the first step towards becoming a successful BASE jumper is from the knowledge you obtain while skydiving. Once that was accomplished, his natural drive and will pushed him to lock in on achieving a BASE number. To receive a BASE number, you must complete at least one jump from each category: building, antenna, span and earth. Earning your BASE number comes with a high level of respect among the adrenaline community. The 22-year-old college graduate now lives in the beautiful state of California and is enjoying his post-graduation gap year. “I continue to strive to do my best at everything in life, including being able to slow down for a second and just take it all in,” Bohn said.